eLife Ambassadors invite contributions to a workshop and a repository of resources to help scientists make the most of the growing number of tools supporting rigor and reproducibility of research. 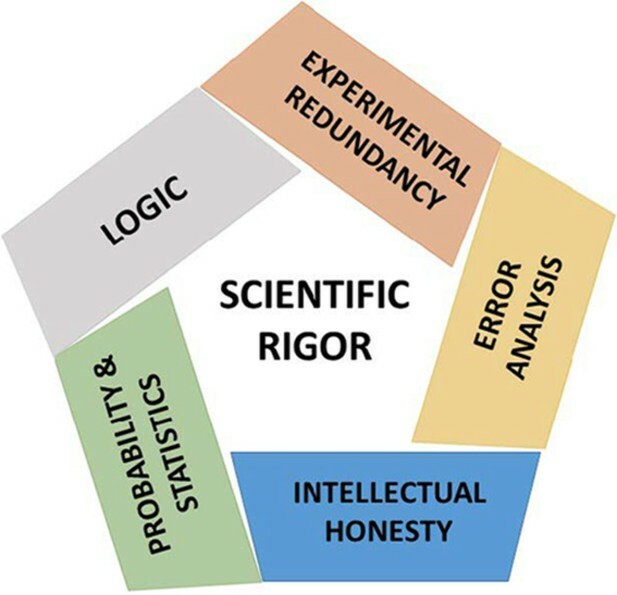 Rigour and reproducibility are at the core of modern science and set apart scientific inquiry from pseudoscience. Several new initiatives, startups, and curricula have been established to address barriers to reproducibility. While commendable in their goals, these projects have led to a proliferation of online tools and resources which can be hard to sift through. Collation and curation of online resources and tools available to support rigorous and reproducible research. Development and delivery of workshops to support researchers in navigating the landscape of tools and online resources most applicable to their field. Development of an online ‘one-stop-shop’ for materials supporting rigorous and reproducible science. Development of a teaching module promoting best practices for rigorous and reproducible science with ASPB and other interested scientific societies. Training of instructors to lead workshops at conferences in 2019 and beyond, scaling up the effort. To kick start their initiative they held a first workshop at Caltech early this year. Materials from the workshop are openly available on protocols.io here. As the next step they invite the wider scientific community to contribute to this effort by sharing their experiences with different tools available in this area. Please provide your input using this form by March 31st. If you are interested in getting involved in the project please get in touch with tools4reproducibility@gmail.com. Pentateuch for improving rigour in the biomedical sciences. Bases of scientific rigour in experimental sciences. Adapted from Casadevall and Fang, 10.1128/mBio.01902-16.